Best wishes from CAST on this holiday weekend when we honor our veterans and families. Check out the 2014 AAAS Charles Valentine Riley Memorial LectureJune 4 in Washington, D.C. Speakers include Daniel Glickman, Catherine Woteki, and other agriculture experts. This college has launched a food processing degree program that provides aspiring food processing professionals with education, while giving producers the labor talent they need to operate and grow. 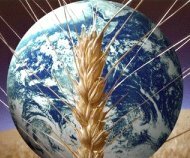 American science companies need to hire at least 1,000 trained ag scientists by 2015 to help meet changing global needs, but according to a study, the country is facing a shortage. 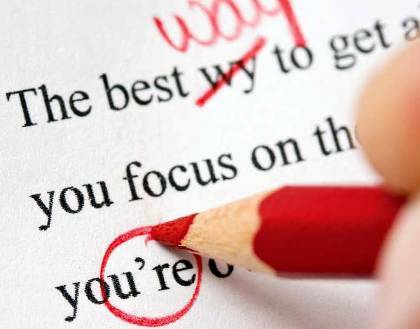 The editing staff at CAST has many years of experience, and they can put that expertise to work for you. 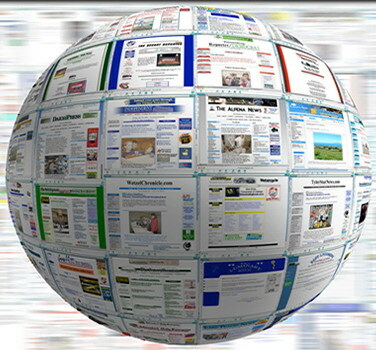 Services include basic copyediting, website copyediting, proofreading, layout, indexing, and more. 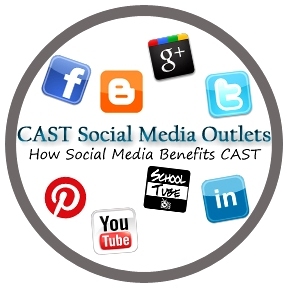 Click here for access to publications and links to social media--including the popular CAST Catch of the Day on Facebook. 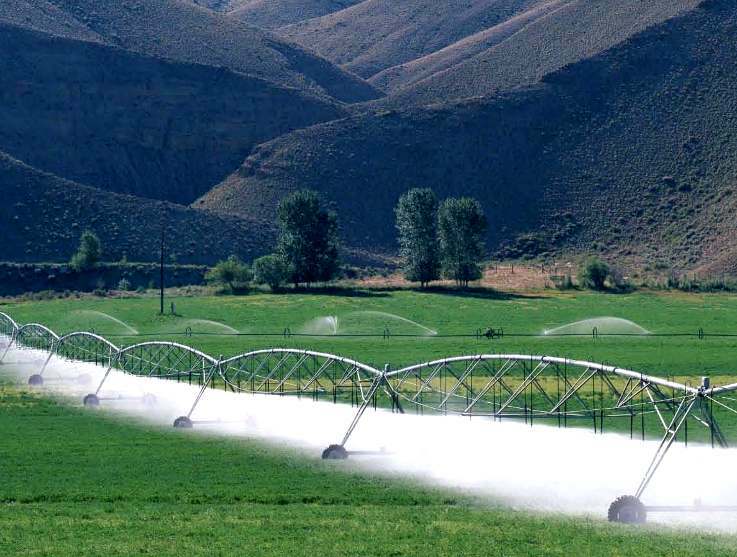 Agriculture Secretary Vilsack announced that $33 million in assistance will be provided to farmers and ranchers to make conservation improvements that will increase water quality in 174 watersheds. Some think the EPA has not been clear about which U.S. waters are within its jurisdiction, and several cases have ended up before the U.S. Supreme Court. The Mississippi River/Gulf of Mexico Watershed Nutrient Task Force announced a partnership with 12 land-grant universities to support state-level strategies and actions to curb water pollution. In this CAST Task Force Report, scientists provide recommendations to help better understand all aspects of hypoxia in the Gulf of Mexico. ** Homegrown By Heroes: The Farmer Veteran Coalition announced the national launch of the Homegrown By Heroes initiative. The product labeling program will allow farmers, ranchers, fishermen, and the like from all 50 states and U.S. territories who have served or are still serving in any branch of the U.S. military to use the logo on their food and farm products. ** Biotech Controversy in Oregon: Voters in two small Oregon counties approved controversial ballot measures to ban cultivation of genetically engineered crops within their boundaries, though one measure is vulnerable to legal challenge under a new state law. 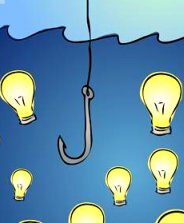 ** GMO Opinion: This University of Florida researcher is skeptical about some GMO proponents' claims and he is cautious about extensive biotech use, but after 30 years of studying them he says theirbenefits outweigh their limitations. ** Labeling Research: Click here for CAST's Issue Paper regarding the impact of mandatory labeling for biotech food. 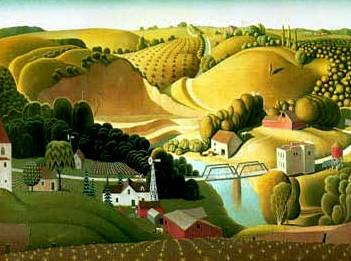 ** Farm Economy: Farmland values fell in the first quarter across much of the Midwest--the latest sign of a downturn in the market after a long boom driven by rising commodity prices, according to new Federal Reserve reports. 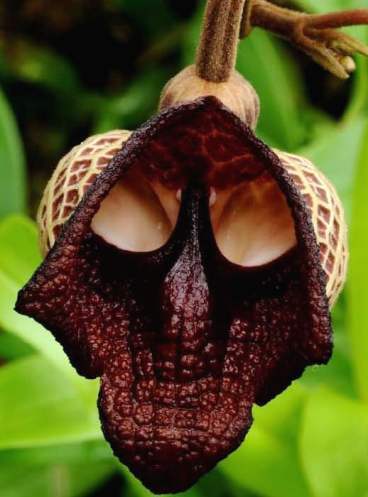 Nature's Impostors: Take a look at these plants and flowers that, whether for survival or just through sheer imagination, resemble animals. Help from Mama Bear (video): A mama bear is caught on camera pulling her cub to safety from a highway in British Columbia. Ag Harmony: The Farmers Only dating site now boasts 1.5 million members--one of the more successful niche dating sites that have cropped up in the last few years. By its nature and mission, the Borlaug CAST Communication Award obviously focuses on the importance of communication in the ag world. The 2014 recipient, Alison Van Eenennaam, is known for her research and academic skills, but she is also a highly regarded communicator. Through papers, speeches, interviews, online videos, and other means, she spreads scientifically sound information about the food we eat. Dr. Van Eenennaam's selection also spurred another type of communication. Since the announcement on May 1 at the World Bank, the responses have been positive and sincere. The story was covered by many online and print sources, while social media did its share of buzzing about the event. But the most noteworthy communication has come from the many messages sent to CAST and to Van Eenennaam. From USDA officials to university administrators in the United States, from science organizations to academic institutions overseas, congratulations came in for a "terrific choice." 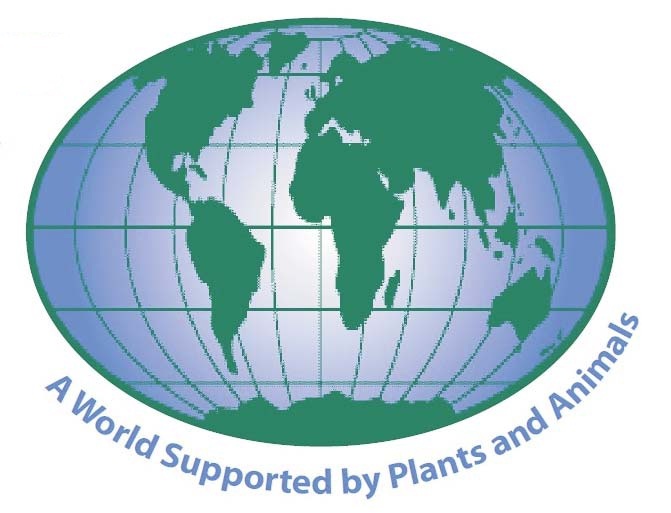 As one message said, Van Eenennaam has a "commitment to developing educational and public communications materials focused on increasing public awareness and understanding of animal and agricultural sciences." Another comment aptly summed up the general tone, calling her "a gem for agriculture." 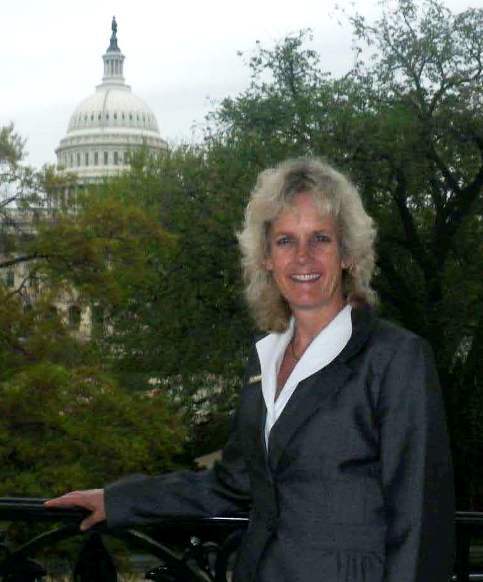 An award presentation for Dr. Van Eenennaam will occur at a breakfast side event cohosted by DuPont and CAST at the World Food Prize Symposium on October 15, 2014, in Des Moines, Iowa. 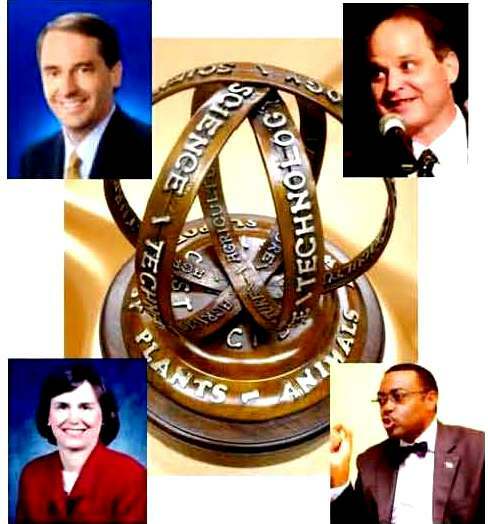 The 2013 BCCA winner, Jeff Simmons (top left), comes from a corporate background, and he is able to use his platforms to work on global challenges, especially food security issues. He juggles company duties with visits to farms, presentations at conferences, and an active social media presence that focuses on his "Enough" program--part of the effort to end world hunger. Click here to read about Simmons and the previous three BCCA winners--all impressive ambassadors for agriculture. Carl Winter (top right) of UC-Davis continues his research and academic work while also using his music and performance talents to promote food knowledge and safety. Catherine Bertini (bottom left) works with education and food programs on a global front. And Akin Adesina (bottom right), the Minister of Agriculture in Nigeria, promotes Africa's "Green Revolution" and is now working to help with the troubled conditions in his home country. The Borlaug CAST Communication Award honors the legacies of Nobel Prize winner Dr. Norman Borlaug and Dr. Charles A. Black, the first president of CAST. With the past five award recipients, these legacies are certainly in good hands. Photos courtesy of the Agricultural Research Service (top masthead); TopLatest News (globe at right). P.1 Plant pic from sunnyscope.com. Animal Sec. dog pic from pbs.twimg.com. Plant Sec. coffee pic from precisionnutrition.com. Gen. Sec. map from s.wsj.net. Unless otherwise noted, photos courtesy of the USDA Agricultural Research Service. Dueling Farm Families (video): These hog farmers want to double the size of their operation while another family said they want to preserve their pristine recreational land. 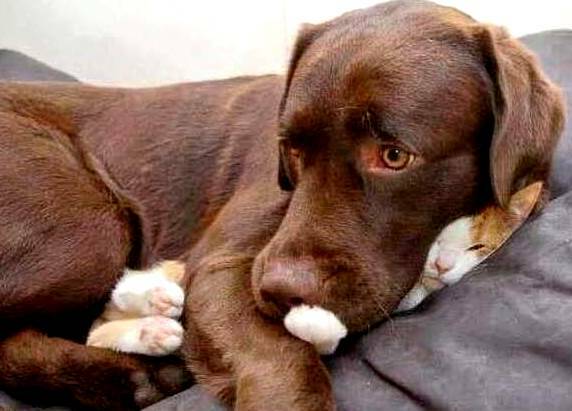 That fine line between a snuggle and a suffocation. Shoo, Fly! (video): Flies and pests can hamper cattle growth. This short video demonstrates how cattle producers can use a "vet gun" tohelp their livestock. Brave Animals (video): Five heroic animals were recently inducted into the Purina Animal Hall of Fame. Hormonal Common Sense (opinion): The University of Nebraska gives us a few things to keep in mind the next time we hear that beef contains too many hormones. Turkey Time: This farmer advocates raising turkeys on a backyard farm: "If you think chickens and ducks are messy, you haven't seen turkeys." Turkey Talk (related to above): This blogger looks at safety issues, antibiotic use, and a bit of turkey humor. Bullish on Beef (opinion): Veteran cattleman Mike John can't see any reason why record high cattle pricesshould sag. In fact, he thinks that trend will continue for several years. Inside Animal Minds: Here's a list of the nine most unexpected things going on in animal minds, according to a NOVA miniseries. Recap of 2014 Summit: The Animal Ag Alliance Summit tackled food trends, cracking the millennial code, and other issues. The Pig! Who Would Have Guessed? USDA researchers have conducted a series of studies showing that the pig is instrumental as a model for human obesity-related research. Cheese War of Words (video): What's in a name? European trade officials want American cheese makers tostop using names like Parmesan and Asiago. Food Villain (video opinion): The food industry is unfairly branded as a "stock villain" in the media, resulting in food science and technology being feared and misunderstood by consumers. Food Survey: Taste and price have been top factors affecting consumers' food and beverage purchases, but concerns about "healthfulness" are on the rise, according to the International Food Information Council. Sticker Shock: Cornell University found that in New York a proposed GMO labeling bill could cost families hundreds of dollars per year. What's in an Organic Word? Organic is one label that most consumers are familiar with, but understandingwhat it really means can help consumers make informed choices. Ground Beef Testing: While agencies have a range of safeguards to reduce E. coli in ground beef, this summer they will begin testing to improve the safeguards against Salmonella as well. What's in your Happy Meal? McHappy Yogurt: General Mills has struck a deal with McDonald's to supply the fast-food giant with an exclusive yogurt product for its Happy Meals. You Want Fries with that Book? This blogger looks at Happy Meal offerings--from yogurt to toys to books. In the School Cafeteria: The USDA announces new flexibility for school districtsworking to meet updated whole grain requirements for school meals. GMOs 101: Genetically modified foods have been around for years, but most people in the United States have no idea if they are eating them. GMO Label Issue (related to above): CAST's influential Issue Paper about labelingexamines this controversial topic. 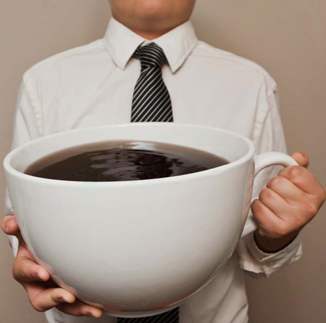 I only drink one cup a day. Bitter Coffee (video): Coffee prices around the world could be on the rise due to a devastating coffee disease in Latin America that has already done $1 billion in damage. Tequila Sunset (video): There are some indications the situation is improving, but this year a global lime shortage means higher prices and a search for substitutes. The Cotton Pickin' Weather: Though recent rains improved the cotton outlook for some regions, it is still challenging for the state overall, according to a Texas A&M AgriLife Extension Service expert. Hemp Update: The U.S. agriculture and justice departments are working to permit the importation of hempseeds for cultivation. Miniature Plants: In recent years Bonsai--Japan's art form of growing miniature trees in miniature planters--has undergone a miniaturization trend. Large-Scale Dryland Cropping Systems Research: This study hopes to identify cropping systems that enhance and stabilize production in rain-fed systems to optimize economic crop production. Super Weed Research: An Iowa State University project on managing herbicide-resistant weeds is one of 12 grants to increase food security and improve food production announced by the USDA. Cutting the Mustard: The white mustard plant, having added spice to our lives for centuries, may soon be put to a very different use in the fight against chemical weapons. Energy Crop Prospect: Miscanthus, a relative of sugar cane that looks like bamboo, could be the Midwest's next energy crop. Chinese 3-D Printer Helps Build Houses (video): Using a mixture of construction waste and concrete for printing material, this "printer" can help build a one-room house for less than $5,000. Maize Maze: The ministry of agriculture in Kenya has banned the importation of maize seeds in order to deal with the viral maize disease which has wreaked havoc in parts of the country. Futurist or Dreamer? This presentation at a food conference in Europe includes a speaker who claims the world "can easily feed 24 billion people." Tour of Dutch Pig Operations: This photo tour shows one of the Netherlands' top hog operations. Carcass Problem: A new calamity emerged in the flood-hit Balkans even as emergency workers battled overflowing rivers and evacuated thousands: tons ofdrowned livestock were posing a health hazard. 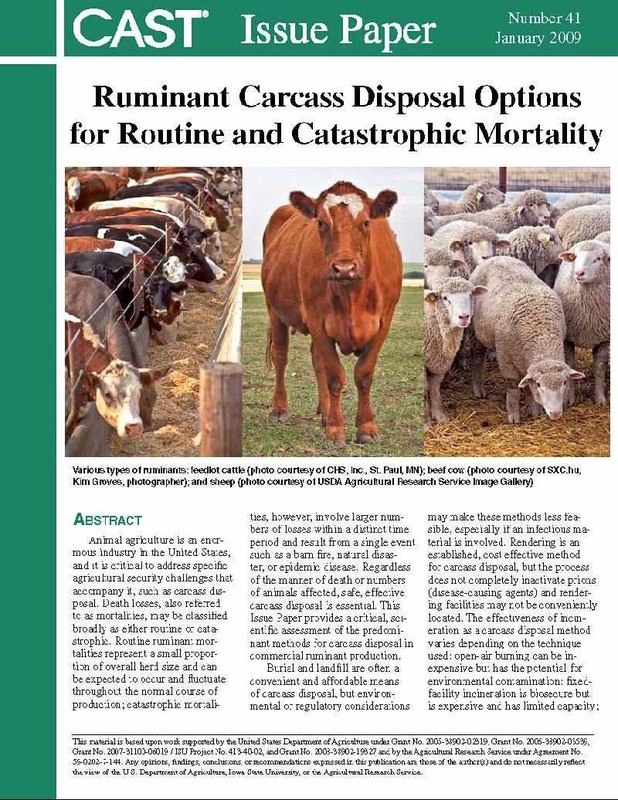 Disposal Research (see above): A CAST Issue Paper gives some basic background and advice: Ruminant Carcass Disposal Options for Routine and Catastrophic Mortality. Ag Ed Down Under: Several companies in Australia have developed three food production education resources aligned to the new national curriculum. Waste Not: A Swiss buffet restaurant now fines patrons who waste food. The Bad with the Good: In Australia, ironically, good pasture conditions can lead to livestock problems, including foot abscess in sheep and cattle poisoning. Harvesting the Power of the Alps (video): A fascinating power project in Switzerland will be able to generate as much power as a nuclear power plant. The House and Senate Appropriations Committees took the first steps this week to bringing their respective FY 2015 funding bills to the floor for consideration. It is anticipated that the House Agriculture spending bill will go to the House floor shortly after it is considered by the full House Appropriations Committee next week. The Senate full committee marked up their spending bill this week, but it is unclear when it will go to the Senate floor for consideration. The full Senate Appropriations Committee reported their FY 2015 agriculture spending bill this week. The bill provides funding of $20.575 billion for USDA and FDA spending for the next fiscal year. Discretionary funding is $90 million below the FY 2014-enacted level but $228 million above the administration's budget request. The Senate bill provides $1.2 billion for the Agricultural Research Service (ARS), which is $17 million above FY 2014. The committee also stressed the importance of the ARS increasing its effort to address the decline of honeybee health, which has widespread implications for food and plants. The ARS will develop and test the efficacy of best management practices to help prevent colony collapse disorder (CCD), reduce colony mortality to acceptable levels, and potentially isolate causal factors for CCD. The bill provides $1.292 for the National Institute of Food and Agriculture, which is $15 million above FY 2014. This amount includes $325 million for the Agriculture and Food Research Initiative. The House Agriculture Appropriations Subcommittee marked up their FY 2015 spending bill this week, deferring amendments to full committee mark-up scheduled for next week. The bill totals $20.9 billion in discretionary funding, which is approximately the same as the FY 2014-enacted level. In total, the bill provides $142.5 billion in both discretionary and mandatory funding--$1.5 billion below the President's request and $3 billion below the FY 2014-enacted level. The House subcommittee bill provides $2.65 billion for agriculture research programs, including the ARS. This level is approximately the same as the FY 2014-enacted level. Hope everyone has a nice Memorial Day weekend. Check out CAST videos at the SchoolTube site. 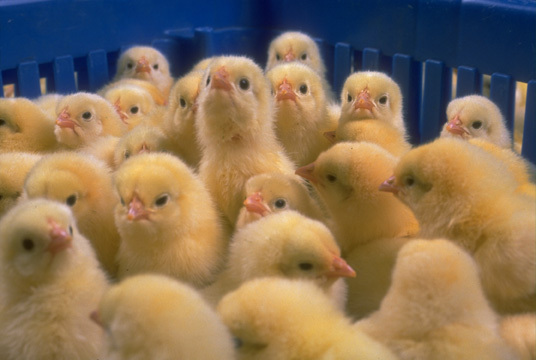 Click HERE to view highly regarded ag-science videos about probiotics, food safety, and water issues--or the latest video, Animal Feed vs. Human Food: Challenges and Opportunities in Sustaining Animal Agriculture.